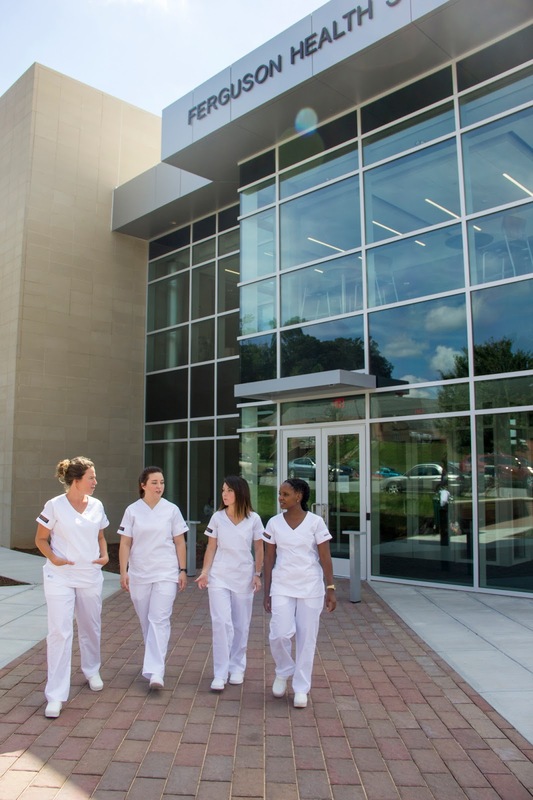 Mars Hill University has been awarded a federal grant of up to $2 million over the next four years to help train Western North Carolina nurses. The Nursing Workforce Diversity grant will provide $500,000 for Mars Hill in the fiscal year that begins July 1, and is expected to be renewed for three more years. The goal of the Nursing Workforce Diversity program, administered through the U.S. Department of Health and Human Services, is to increase access to nursing education for students from backgrounds that are underrepresented among the current nursing workforce. For Mars Hill, that dovetails perfectly with the very reason the university began its nursing programs. The university established the Judge-McRae School of Nursing to serve the local Western North Carolina region and disadvantaged regions throughout North Carolina. The grant gives Mars Hill an opportunity to increase the number of nursing graduates who are diverse, representative of their communities, and skilled in serving disadvantaged communities with cultural sensitivity and compassionate care. "We are extremely grateful for the generous award of the Health Resources and Services Administration (HRSA) Nursing Workforce Diversity grant," said Cathy Franklin-Griffin, professor of nursing and dean of the Judge-McRae School of Nursing (JMSON). "This grant provides JMSON--the youngest school of nursing in western North Carolina--with resources to enhance successful inclusiveness in our pre-nursing and nursing student populations." Mars Hill University will use the grant money to hire specialists and mentors with the skills to recruit students of diverse backgrounds into the nursing program and to help those students develop the skills necessary to succeed and graduate. But the bulk of the money will go to new scholarships awarded to 50 students in the pre-licensure bachelor of science in nursing (BSN) program and 25 students in the registered nurse to bachelor of science in nursing (RN to BSN) program. The overarching goal of the initiative is to provide a more diverse and inclusive nursing workforce to the populations of the largely disadvantaged, health care underserved, and economically challenged counties of rural Western North Carolina and throughout the state. "We are pleased that the US Department of Health and Human Services saw the merit in our proposal and I am proud of the university's nursing faculty and advancement staff for the high quality proposal," said Mars Hill University President Dan Lunsford. 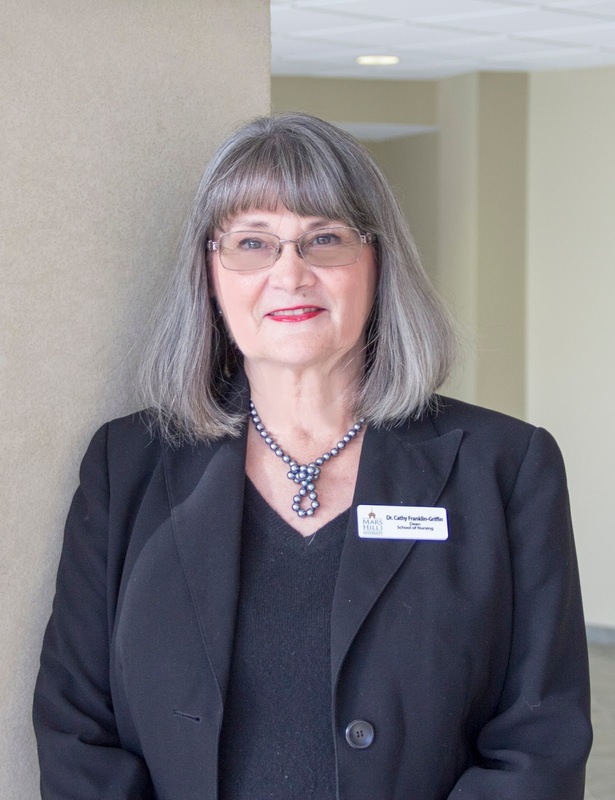 "This grant will enhance the capacity to provide the high quality nursing education to more people across Western North Carolina, which, in turn, will enhance the medical care of citizens of the region." Franklin-Griffin said the grant will help enable the university's nursing graduates to take to their local communities the foundations of nursing education excellence at Mars Hill University: courageous advocacy, ethical leadership, cultural competence, health promotion, and community involvement. "This is definitely a win-win situation for all involved now and seeds a rich harvest of future nursing graduates and healthier communities," she said. She also acknowledged the efforts of the university's fundraising office, particularly those of foundations engagement and prospect research director Stacey Sparks, who spearheaded the grant application process. This project is supported by the Health Resources and Services Administration (HRSA) of the U.S. Department of Health and Human Services (HHS) under grant number D19HP30867 Nursing Workforce Diversity for $500,000. This information or content and conclusions are those of the author and should not be construed as the official position or policy of, nor should any endorsements be inferred by HRSA, HHS or the U.S. Government. The Judge-McRae School of Nursing offers classes in the RN to BSN program at Mars Hill's Asheville Center for Adult and Graduate Studies. The pre-licensure BSN program is offered in the Ferguson Health Sciences Center on the main university campus. 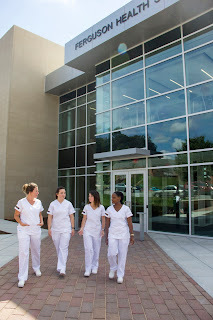 The baccalaureate degree in nursing at Mars Hill University (Judge-McRae School of Nursing) is accredited by the Commission on Collegiate Nursing Education (www.ccneaccreditation.org). The Judge-McRae School of Nursing and Ferguson Health Sciences Center received support from GoldenLEAF Foundation.